Ehsaan Ali was born on 15 October 1933 in a wealthy household of Peshawer. He did his Masters in English and joined the English department of Islamia College, Peshawer. He is an Urdu shayar of ghazal. Earlier, he did not like his pen name until it became Mohsin Ehsaan. His first pen name was Ehsaan Nayyer, later, it became, Ehsaan Mohsin. Once more, it again changed to Mohsin Ehsaan, which is now his current pen name. 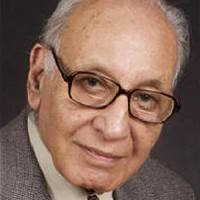 Natamaam, Na Guzeer, Na Raseeda, Ajmal-O-Akmal, Mitty Ki Mehkar are the collections of his works, while Izafa consists of the translation of his three English dramas into Urdu.